HelloFresh today announced the appointment of Tobias (“Tobi”) Hartmann as President of North America and additional member of the Global Management Board. Hartmann brings nearly two decades of management experience in developing, launching and operating direct-to- consumer products and business services solutions, both for private and public companies. 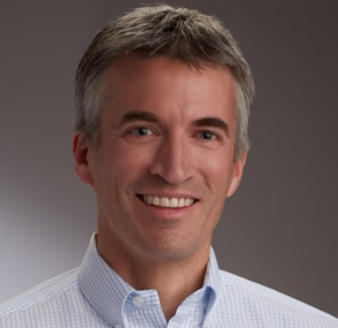 Most recently, he served as President of Radial Inc., formerly known as eBay Enterprise & Innotrac, a leading provider in omnichannel commerce technology and operations solutions. Prior, Hartmann held various management positions including Managing Director and Chief Operating Officer of D+S GmbH, a full-service e-commerce and business process solutions provider. He was a member of the Executive Management Team at Loyalty Partner GmbH to create “Payback”, one of the leading CRM and loyalty platforms. Based in HelloFresh’s NYC headquarters, Hartmann will focus on long-term strategy, business planning, organization and leadership development. As a member of the Management Board he will focus on laying the foundation for sustained global growth with the build out of a world-class organization in all areas of the business. HelloFresh continues to grow its headcount in the U.S., with notable recent hires including Brett Banchek as Senior Vice President of Supply Chain, Arjun Kapur as Senior Vice President of Growth & Analytics, and Stacy Gordon as Chief Product Officer. In the U.S., the company currently has more than 60 open positions across departments spanning Data Science, Engineering, Finance, Food Safety, Marketing, Operations, Product, and Procurement. HelloFresh U.S. is now the largest and fastest-growing market among HelloFresh Group’s country operations. In 2017, HelloFresh introduced a series of new products including HelloFresh Wine, an online marketplace selling kitchenware, and re-launched its Family Plan. HelloFresh also introduced menu features including breakfast, Premium meals, Hall of Fame recipes, and 20-minute meals.